Orangeburg is a type of sewer pipe made from layers of pressed wood pulp and coal tar. The material was commonly used in Ann Arbor and many other places in the United States during World War II and thereafter because of the scarcity of metal building materials. It is often found in homes built between the late 1940's through 1970's. Its use was discontinued when PVC piping became more common. Why is it considered a problem ? Over time, the fibers in Orangeburg disintegrate and allow roots to break through the material. Movement in the surrounding ground can also disrupt the piping causing parts of it to be damaged. Due to the poor quality of the material the life expectancy is between 30-60 years. A licensed plumber can visualize your sewer line with a scope and camera attachment. They will scope the line from the interior entrance point in your home to the main street connection examining the integrity of the line. What happens if I have Orangeburg? If Orangeburg is discovered during a sewer scope it is encouraged to be removed. 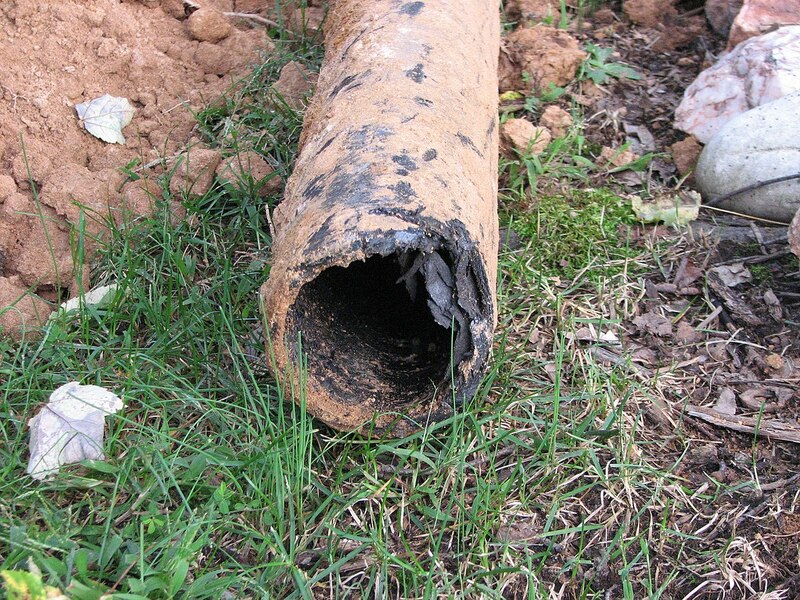 Repair to Orangeburg is discouraged because of the poor quality of the material compared to PVC piping. A licensed excavator should be hired to dig a trench and replace the line. Replacement of line - Depends on the distance from your house to the street connection, in addition to any obstacles that may prevent them from trenching a straight line. Prices can range from $10,000-$15,000.